By Brian Hoey. Apr 1, 2019. 9:00 AM. For years now, film and television producers have been battling each other to create the one piece of fantasy media that will dominate all others. There was New Line’s Lord of the Rings (2001-2003) adaptions, HBO’s Game of Thrones (2011-2019) series, New Line’s subsequent Hobbit (2012-2014) trilogy, and now, as of a blockbuster 2017 deal, Amazon Studios will be producing at least five seasons worth of television based on Tolkien’s iconic mythos and characters—a show that they, like those that have gone before them, hope will be the one series to rule them all. In this regard, it sometimes feels like these studios missed the point of Tolkien’s story entirely. Now, Netflix, not to be outdone, has today announced its answer to Amazon’s newest foray into epic fantasy: its own original series based on the just-acquired rights to an earlier, pre-Lord of the Rings (1954-1955) Tolkien property. In 2017, Netflix lost the bidding war for LOTR to Amazon in what proved to be an immensely complex deal, involving New Line Cinema, HarperCollins, and the Tolkien estate, which reportedly cost the tech giant over $250,000,000. Less than two years later, Netflix has answered back in dramatic fashion. 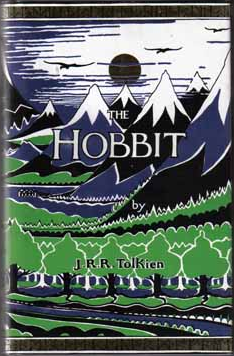 Though precise financial details are still scarce, the size of the streaming platform’s deal with the Tolkien estate is likely comparable to Amazon’s (though probably somewhat lower, in light of whatever strictures caused them to lose the bidding war in the first place), as is the size and scope of the project itself: while it may not come off at the billion (with a ‘b’) dollar price-tag that Amazon Studios estimates in production costs, this new Tolkien adaptation is poised to be Netflix’s biggest and most expensive series to date. As with all modern adaptations of Tolkien’s work, we can only imagine that the finished product will have a truly ‘epic’ scope, with high production values, expensive sets and props, elaborate costumery, and rich, romantic plotting designed to outdo Amazon’s competing project. But let’s not get too far ahead of ourselves. What is this mystery property on which Netflix is staking its hope, resources, and financial solvency? We’ll give you a hint: it contains what some of Tolkien’s readers think of as one of the most iconic images in his entire oeuvre (and almost certainly the most iconic set-piece outside of The Hobbit (1937) and the LOTR books). Tolkien describes an unnamed man who has inherited a vast field littered with old stones, the ruins of an ancient hall built in the long-forgotten past; with the stones the man labors to create a tower—perhaps something that will stand as a monument in future ages; a testament to man’s ingenuity and strength. But when people come to admire the tower they notice that the stones that comprise it are older than the tower itself. They become frenzied, and destroy the fruit of the man’s labor. They tear the entire structure down, "to look for hidden carvings and inscriptions" in the old stones. That’s right: we’re talking about “Beowulf: The Monsters and the Critics,” Tolkien’s seminal 1936 lecture on the 10th century Old English epic poem. 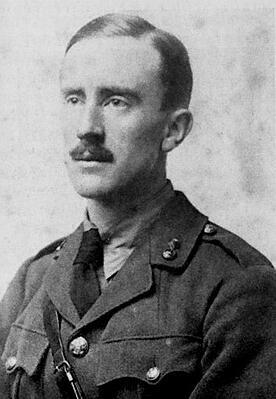 It’s certainly true that the essay, in which Tolkien upends the critical consensus on what was up to that point an often-derided piece of writing, had a big impact in the field. Notably, the famed Irish poet and Nobel Laureate Seamus Heaney (who himself penned a popular translation of Beowulf) praised Tolkien for illuminating “the poem's integrity and distinction as a work of art." High praise from a master of the poetic form. Michael D.C. Drout, a distinguished scholar of the works of Tolkien and Ursula K. Le Guin, heaped similar praise on the work, asserting that it forever changed the study of Beowulf. The press conference ended shortly after these comments, but we expect details about casting and production to emerge slowly over the next several months. So far, there’s been no word on whether Peter Jackson (who is as yet not attached to the Amazon production) will be involved. And while some outlets are already calling Netflix’s strategy “bizarre,” and “a confused tangle of addle-brained decision-making and incompetent money-grubbing,” those of us at Books Tell You Why are prospectively excited about the whole thing.